Our visit to San Ignacio Belize in early 2013 was far too short, and only in one small part of the tropical country. We were invited to visit Ka’ana Belize Boutique Resort and all of our activities were those offered by the resort and were in the nearby jungle setting. Ka’ana Belize turned out to be so much more than a resort — it was a feeling. 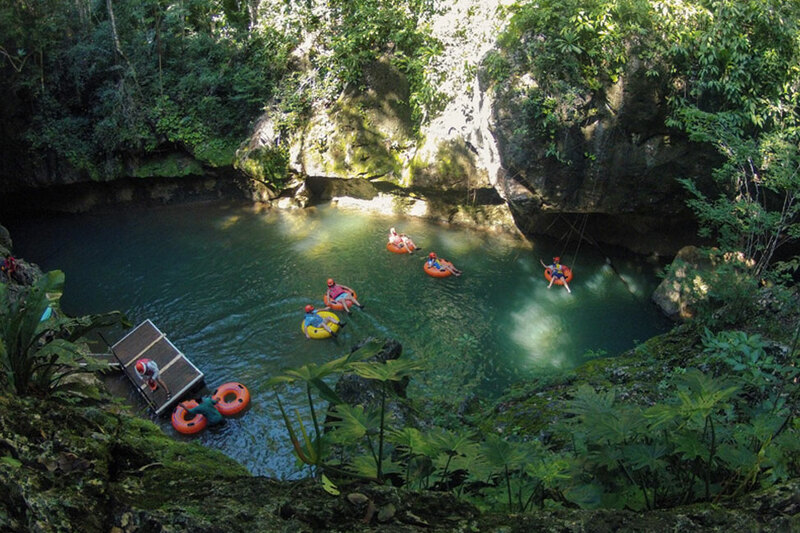 While Pete explored the underworld of the Mayan ATM caves, Dalene took an easier route and enjoyed cave tubing! We planned a super romantic day in Belize lounging and lunching by the Big Rock Waterfalls. Mother Nature had other ideas for us, but we didn’t mind.